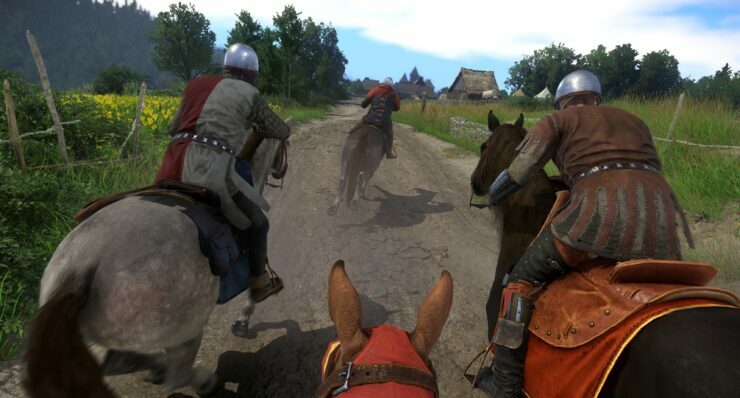 Kingdom Come: Deliverance has been a popular title amongst us at Wccftech for a good number of years now. It featured in our most anticipated RPG’s of 2016 way back at the start of, well, 2016. We’ve interviewed Tobias Stolz-Zwilling from Warhorse Studios. We’ve constantly covered the delays to both 2017 and then 2018. I recently had the opportunity to attend a preview event of the game. Deep Silver and Warhorse went truly medieval by hosting the event at Hever Castle, more than appropriate considering the setting. During this event I was able to play three separate stages of the game. These three stages allowed for an introduction of a number of core aspects. Most important is that they allowed for a bit of exploration, where I wandered off the beaten track. I’m nothing if not willing to do my own thing. The one thing I’ll start with is a piece of good news. 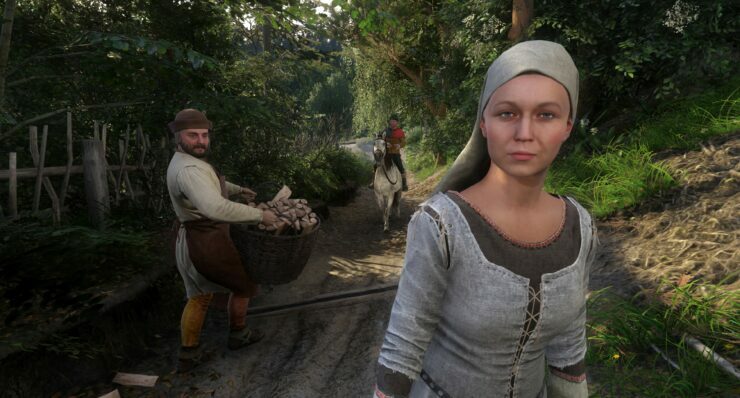 Kingdom Come: Deliverance will be released on February 13th next year. It’ll be released on the PC, Xbox One and PS4. There’s little doubting the prevailing theme of most western RPGs at the moment. You’ve got your swords, shields, knights. Of course, you’ll also find an ample dose of wizards, dragons and other mythical features. Kingdom Come looks at this and immediately flings it to the side. Warhorse Studios have been as authentic as possible, while still keeping what makes these RPGs fun. 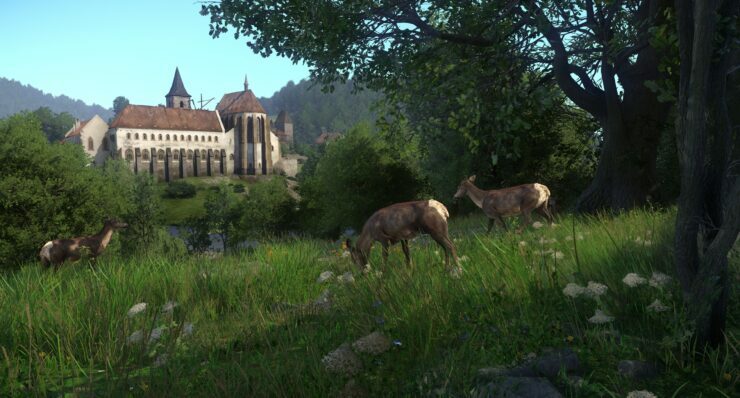 Set in fifteenth century Bohemia, there’s a lot to find interesting with Kingdom Come. Of the three saves provided by Warhorse Studios, the first and last highlight this the most. The first, which takes place roughly a fifth of the way through the core story, is the most enlightening. It takes place at the end of Henry’s road to recovery. Henry went on a quest of vengeance after his parents were killed, he failed. Now he needs to go to his local lords for assistance. Only, Henry is just an unremarkable blacksmith. As an unremarkable blacksmith, Henry will never become a king, not even a lord. Frankly, Henry is useless. At least by modern standards. Sure, he can make a sword, but he can’t read. Yes, you read that correctly, Henry can’t read. Skills in Kingdom Come act much like those in Elder Scrolls, you train them by performing them. When you first pick up a book all of the letters are jumbled up, but you may be able to make out the drawing of a place. The people of the 15th century took Another Brick in the Wall a little too seriously. Honestly, the first save didn’t interest me much. It was all about giving us a tutorial on the weapons, armor and combat. I ended up wandering off, doing a little grave digging and I taught Henry how to read. The reading was, however, a bug. In the final release, you’re not meant to be able to learn how to read until what was actually the third save provided to us to play through. You get to be a monk! 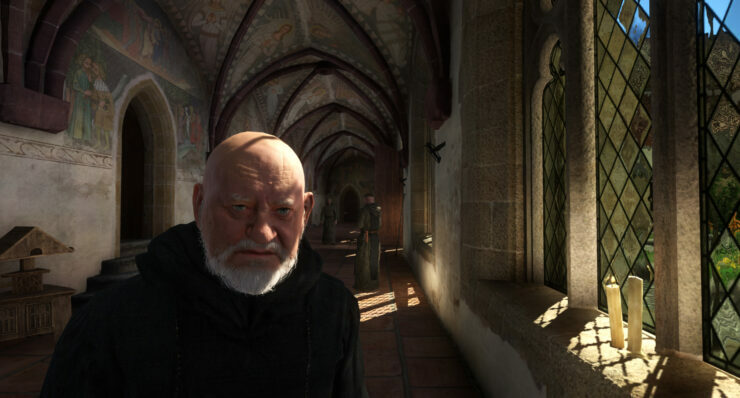 The game actually features what is still an unfinished church at the Sazava Monastery in the Czech Republic. For the life of them, Warhorse wanted to give you a reason to go inside the monastery. The problem was their intent to stick to realism. Back then, only those of the cloth could enter such a place. This brings in the core element of the third save, conversation. Henry, in one of his core quests, joins the monastery. Under an alias, he takes the role of a monk-to-be to root out a criminal taking shelter there. Of course, it’s never going to be that easy to just walk up to everybody and ask why they’re there. To keep your cover, you’re going to actually do monk-y things. Learn how to read. Learn a bit of alchemy. You’ve got lessons to attend, prayers to pray and other places to be as specific times. Miss these and you’ll become pretty suspicious to others. You’ve got some investigating and talking to do, in between what are realistic, mundane but also valuable lessons. One of the biggest lessons is that you can’t trust anybody, particularly monks. As Dr. Gregory House one said, “everybody lies“. This is certainly true, and as you venture through Bohemia you’ll learn how to differentiate between the truth and lies that people tell you. It’s surprising, but some will lie for seemingly no reason at all. Or, they’ll lie to get you to do something unsavory, which leads directly back to the fact that I dug up a grave just to steal a ring for a very dishonest farmer. The most interesting part of Kingdom Come is that your experiences directly impact with what you say and how you talk to people. You’ll be able to call them out on their lies or even bluff and lie yourself, with determining factors being how well known you are, how that particular person feels about you, your current standing in the region and so forth. It allows for visible character growth within the world as a whole, without making the traditional RPG error of effectively making you the one hero. This is something that is visibly noticeable during the battles that take place in the game. The second save made available during the event took place during a pitched battle. It begins by talking through the enemy positions and forces, but also about the choices you made prior to commencing the attack. In this case, you took the chance to scout around the enemy camp, locating three different ways of attacking. As such, there was a choice in the matter and friendly losses are minimized. In addition to this, during the actual fighting, it’s very easy to sit back and let friendly soldiers take care of the action. Particularly if you’ve given them a superior position due to previous actions. I personally just equipped a bow, kept on the lighter armor that was made available and took shots at any enemy I could get a clear shot at. Every now and then I’d switch to my sword and finish off a vulnerable enemy. I thoroughly enjoyed myself. However, and this is one of the downsides to the realism. It’s incredibly difficult and easy to die. Armour is essential, you need to protect your weak spots. I was forced to replay the battle due to another bug – it should be noted that Warhorse will be spending the next two months on bug fixing and general tidying up. In this second attempt, I explored the options available. Equipping certain armor decreases your mobility, increases the stamina costs of actions, but also increases your defense. However, and this is one of the most interesting parts, it directly impacts how you look at the game. Equip a helmet with a visor, you are literally looking through that visor. It’s one part I really enjoy about the system put in place. What I found difficult is the actual fighting itself. My brain understands and even appreciates the combat system, I just couldn’t get the hang of it with the time I had available. Locking on to a particular enemy, check. Slashing at them, sure. Counter slashing, changing directions, blocking and parrying, all the while the screen is chaotic from battle. My brain just died around here. I never actually figured out how to hit specific body parts. Also, there wasn’t enough feedback to let you know that you were actually having an impact, bar enemies actually dying. Then came the boss fight. Other enemies are just human, but this guy was a beast. He took hits like a champ, just coming for more. It took a Benny Hill style tactic for me to beat him. I lost a fair few times prior to that, getting to fully see the damage and stamina systems in play. Take damage to your arm, your swing is weakened. Your legs? Hobbled. Even worse is taking some head damage, when blood literally starts rolling down the front of your screen. There’s no using bandages either, not until the combat is finished. Again, I appreciate the fact that you would never have the chance during a fight to wrap a bandage. However, in the middle of a battle, just sneaking off to the side while allies keep the enemy occupied? Of course you would get the chance. It’s a very rigid system that likely needs to be loosened. Potentially base the ability to use a bandage or other healing item on proximity to enemy combatants. 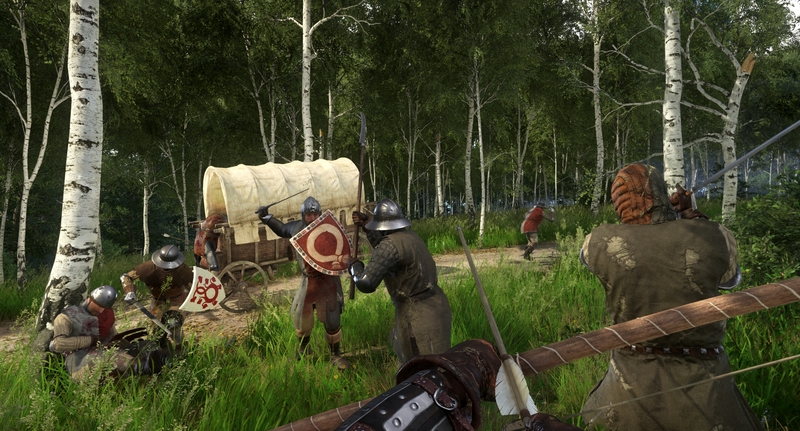 While I have my concerns with Kingdom Come: Deliverance, I’m still encouraged by its progress. One concern is the sheer number of bugs I encountered. I am, however, fully aware that I played a version that will undergo a lot of bug-fixing prior to release. One other problem, at least to an extent, is realism. Realism has become a sort of dirty word in games over the past number of years. Generally speaking, it actually meant “gritty, grey and brown color scheme”, rather than an actual focus on realism. There’s little doubting that Warhorse are intent on delivering the most realistic and historically accurate RPG in gaming history. Sure, some aspects are gamified, but that’s essential. It is, after all, a game. Balancing the story requirements, the realism and the need for fun will have certainly been a tough challenge. To a large degree, they have managed it. There are systems, such as in combat, which could be improved and made a little more gamey, for lack of a better word. But, for the most part, I enjoyed my time with Kingdom Come: Deliverance. The world is absolutely beautifully designed. That much is certain. Towns and villages genuinely feel alive, with people going about their daily routines. In the wilderness, listen to the running of a nearby stream that winds through a forest. Follow the trail to an abandoned well, surrounded by flora and fauna that is stunning to behold. Even more stunning is the map, when you open it. The Bayeux Tapestry has nothing on the lovingly crafted world map of Bohemia. For now, all I can say is roll on February 13th. I’m more than looking forward to exploring the swathes of content that the developers say can last anything from 50 to 100+ hours. Depending on how much you like to explore, of course.